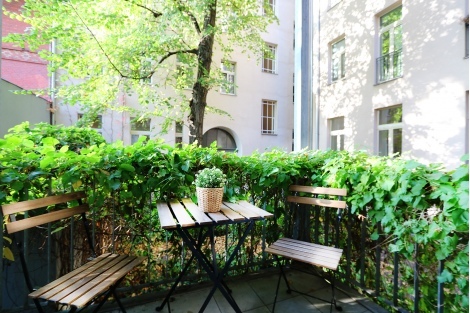 Enjoy the tranquil space in this recently renovated and modern studio apartment with a nice balcony, facing the quiet backyard. 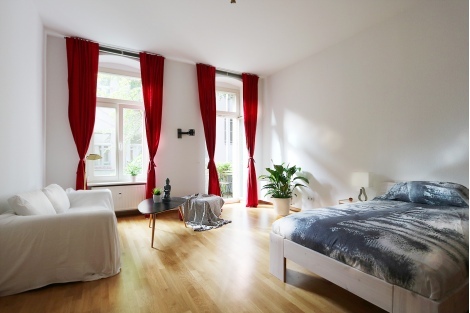 The studio features a double bed in the living space as well as the fully equipped open plan kitchen and a new Flatscreen TV. 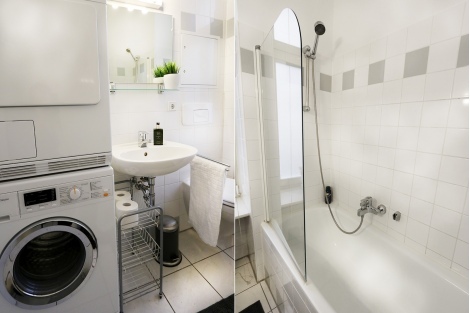 The bathroom has a tub, washing machine and a dryer. 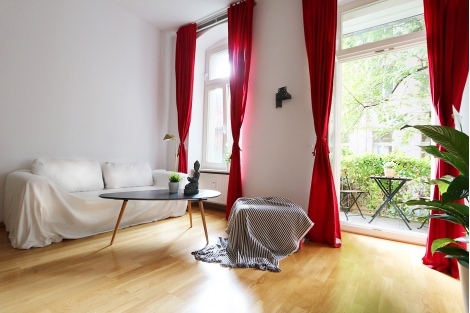 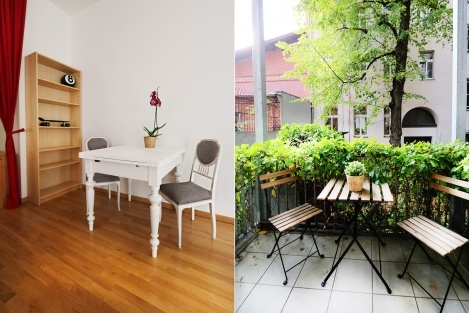 The apartment is located on a quiet street (Zehdenicker Strasse) next to Weinbergspark and Rosenthaler Platz - right between Mitte and Prenzlauer Berg in app. 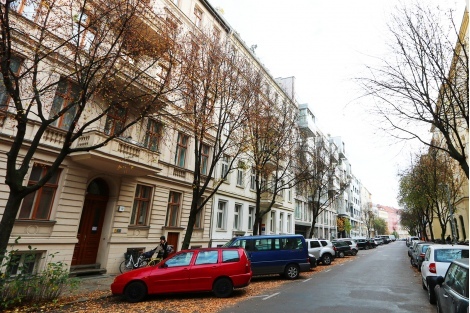 100 meters from Kastanienallee, 100 meters from Zionskirchplatz and a few minutes walk from Kollwitzplatz and Hackescher Markt. 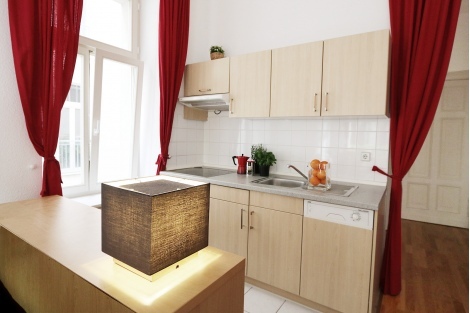 A perfect location that combines business or shopping activities during daytime and a superb nightlife due to the cafes, bars, bistros and restaurants in the area.